Donald Trump confirmed Indiana Governor Mike Pence as his running mate on Friday, creating a Trump-Pence ticket that might prove more palatable to Republican voters than Trump alone. What may inflame staunch Trump supporters, however, is Pence's position on one of Trump's biggest issues — free trade. Mike Pence's stance on free trade, as he has explicitly expressed it in the recent past, is in direct conflict with the GOP presumptive nominee's. 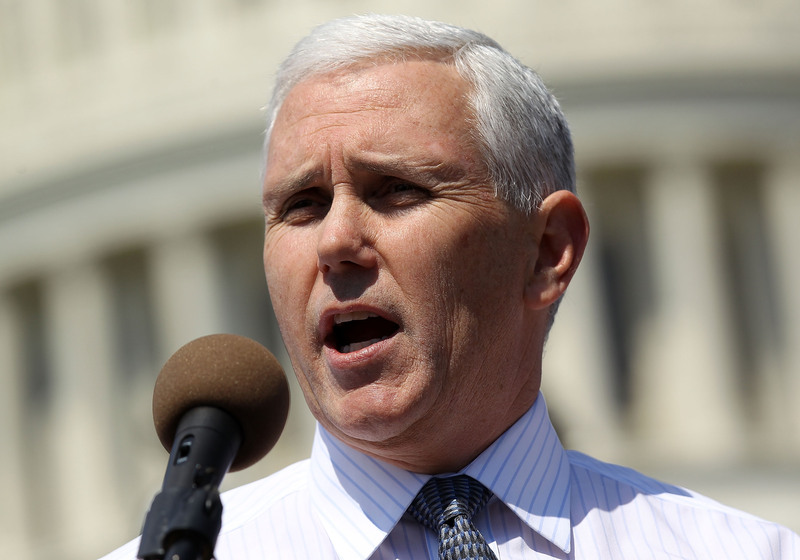 Though it still remains to be seen if the pro-free trade position of Trump's chosen veep will have any impact on the rest of his presidential campaign, it might already be too late for Pence to influence that aspect of the GOP party's platform. The remarkably socially conservative proposed Republican platform, debated on by delegates this past Monday and Tuesday, contained no mention of the TPP, according to Jeremy W. Peters of the New York Times. The current state of the proposed platform, which will not be voted on until the GOP convention next week, will look overwhelmingly more like Trump's than Pence's vision. However, though it potentially includes language that "says free trade agreements have undercut U.S. manufacturing, bemoans U.S. trade deficits and urges the government to crack down on partners who violate trade laws," the platform may still leave some wiggle room for "down-ballot Republican candidates who support free trade," reported David Jackson of USA Today. If anything is for sure, Pence definitely fits the bill on that latter description, so there might be hope for him yet.